Here is another Cognac you drink with ice, as the name says. 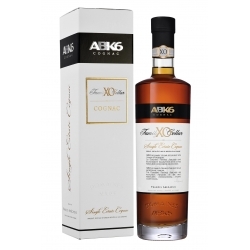 Limited edition Ice Cognac by ABK6 is the first cognac really designed to be consumed on the rocks. 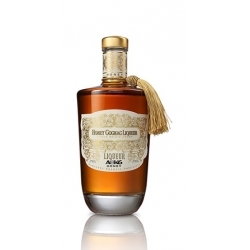 Produced in the hillsides of Claix, France, near Grenoble, Ice Cognac is described as a flavor journey that will take the drinker through aromas of white peach, lemon sorbet and iced mint as the temperature of the elixir drops. 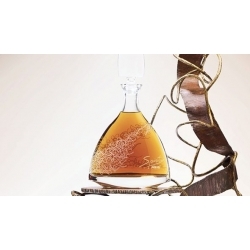 Cognacs are basically coloured and brown because they age in oak barrels. The nose is complex with stewed fruit and woody notes which are followed by brioche, vanilla, apple and cinnamon. 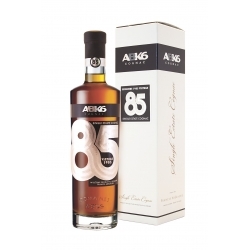 The palate has excellent full structure with a long finish of vanilla and woody flavours. 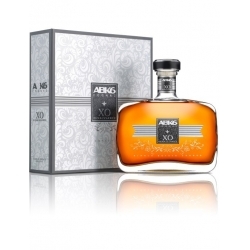 ABK6 HONEY reveals a floral nose with notes of jasmine, violet, honeysuckle and rose petal. Then comes the heat of spicy fruit and candied orange. These notes are linked by vanilla wood species.